In late-January, I went on assignment with Andreas B. Heide to Northern Norway for one of those “jobs” that makes me realize mine is really one of the best in the world – snorkeling with orcas. From December till early February, the spring-spawning herring pack by the billions into a fjord near the small town of Andenes to overwinter (read: hide from their predators). But whales are smart, indeed, and they arrive, too, in hot pursuit of this very moveable feast (the herring switch up their migration patterns every few years to preserve the species). We saw fin whales, humpbacks and pilots, and orcas by the hundreds one very lucky day. And donning a dry suit, mask and snorkel, we slipped into the drink for one of the best ocean experiences imaginable. We got several stories out of the adventure to pay the bills, but the trip also served as a scouting mission for future adventures aboard the beautiful sailboat Barba. 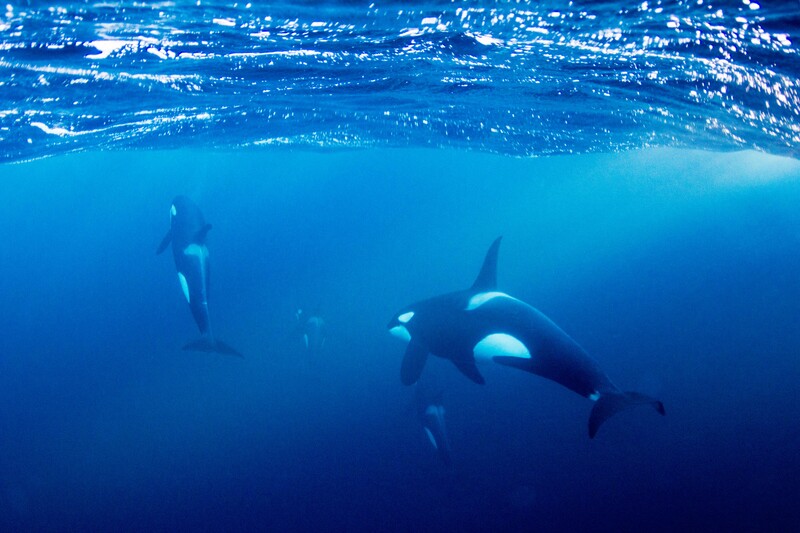 If we get so lucky to see orcas on our own someday from Barba, we will go into the water with them now, too.